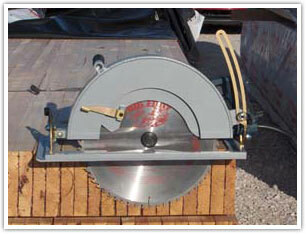 The Big Foot Big Boy 14″ Worm Drive Beam Saw is the best option for cutting 6x material in a single pass. 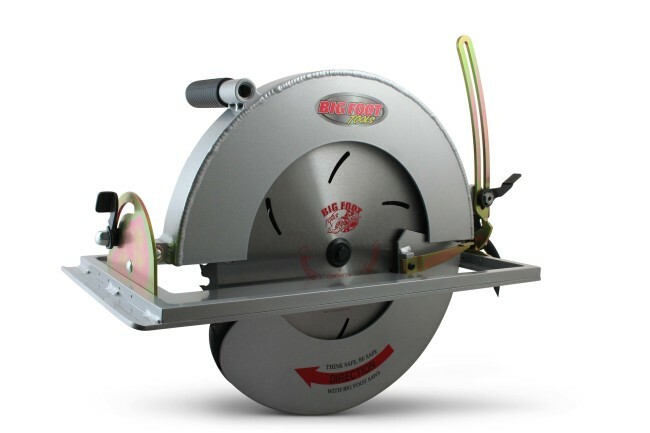 It’s lighter and more versatile than other saws and has a built in 75º swing table.This saw will help you knock out the toughest of projects with its 14” thin kerf carbide blade that cuts all 6x materials and 5 1/8” glu-lams in just one pass. 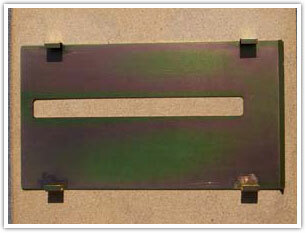 It can even gang-cut 2 x 6 materials standing on edge in one pass! Extra swing for gang cutting rafters The Big Boy will cut 5-3/8” for the seat of a bird’s mouth!. Except for the SKILSAW® Motor, all of our parts are Made in the USA, from the aluminum and laser-cutting to the welding. Don’t forget to send in your warranty card, we’ll send you a free Big Foot T-shirt! The 14“ Big Boy comes standard with a U-Ground cord but is also available with a Twist lock, just ask your dealer when ordering. 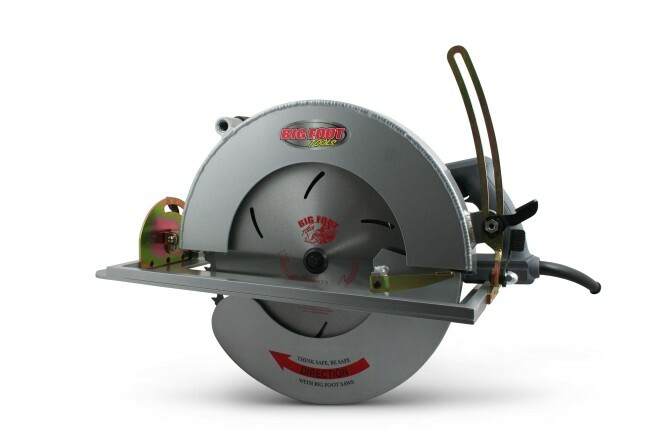 The 14” Big Boy is backed by a 1-year warranty on all parts except the Skil® motor which is covered for 1 month. We’ve got the perfect accessory for your Big Boy—our 14” slip foot, which can be added to the Big Boy for beam trimming. It slides on your existing foot with ease; you won’t need any tools to add it! 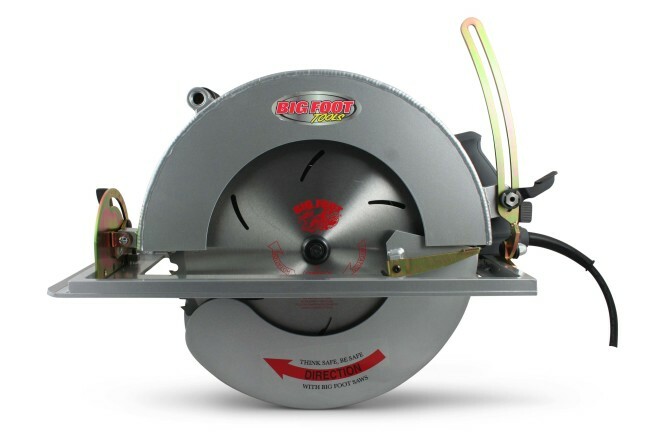 *The Big Boy Slip Plate only Fits the 14” Big Boy Saw.